Funnyman Jon Lovitz highlights this family action-comedy as Jackson, the world’s first canine private eye! Jackson’s eager to help his pal Peter (Neal Genys) recover a missing will for Katherine Worthington (Celesta Hodge), a hardworking veterinarian, to help prove that her aunt’s will was stolen by her corrupt uncle. 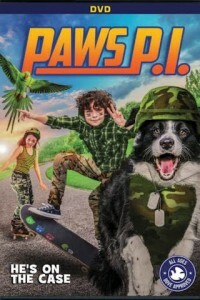 To break into a mansion and retrieve the priceless document, Peter joins forces with his pretty neighbor Madison (Selah Atwood) and her sassy poodle Cleo. With stuffy British parrot Peabody working surveillance from above, the human-animal squad battles bumbling henchmen to find the will and save the day. Find out if Jackson and his furry and feathered friends help put Katherine’s uncle behind bars.